Model/Item No. 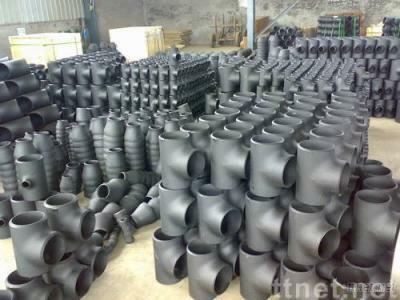 : 1/2" TO 48"
Dear Friends, We are the leading manufacturer of Carbon Steel&Alloy Steel Buttweld Pipe Fittings as per ASTM A234 WPB ANSI B16.9,DIN2605 and JIS B2311 standard as below: 1. Elbow 45Deg,90Deg,L/R,S/R 2. Tee Straight & Reducing 3. Reducer Concentric&Eccentric 4. Caps We hope we can develop both friendship and business relations, by our joint effort, on the basis of equality and mutual benefit. We would be very pleased to be of service to you and hope to get your earliest inquiry.